An exploration of humans' symbiotic relationships with plants and chemicals presents information on prehistoric partnership societies, the roles of spices and spirits in the rise of dominator societies; and the politics of tobacco, tea, coffee, opium, and alcohol. Why, as a species, are humans so fascinated by altered states of consciousness? Can altered states reveal something to us about our origins and our place in nature? 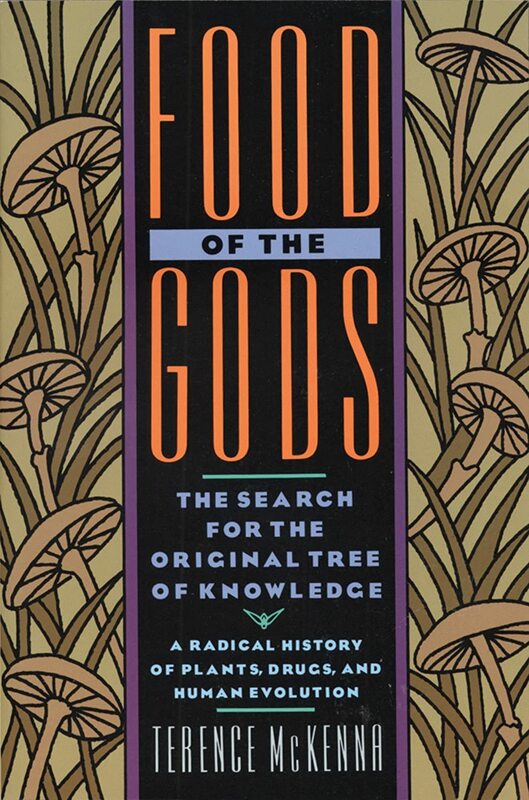 In Food of the Gods, ethnobotanist Terence McKenna’s research on man’s ancient relationship with chemicals opens a doorway to the divine, and perhaps a solution for saving our troubled world. McKenna provides a revisionist look at the historical role of drugs in the East and the West, from ancient spice, sugar, and rum trades to marijuana, cocaine, synthetics, and even television—illustrating the human desire for the “food of the gods” and the powerful potential to replace abuse of illegal drugs with a shamanic understanding, insistence on community, reverence for nature, and increased self-awareness.